Updated 11/17/2017 - The mod has been updated to version 3 for games patched with the November 15, 2017 or newer game patch. Be sure to remove the old version if you update! EA decided in their wisdom to change the Never Weary trait with the December 16 patch because... well, no one really knows why they did it. Probably just to annoy me. I felt the trait was not only less useful, but just plain annoying as sims who had purchased it would now stay up the night and typically only start to get tired just as they needed to get to work. 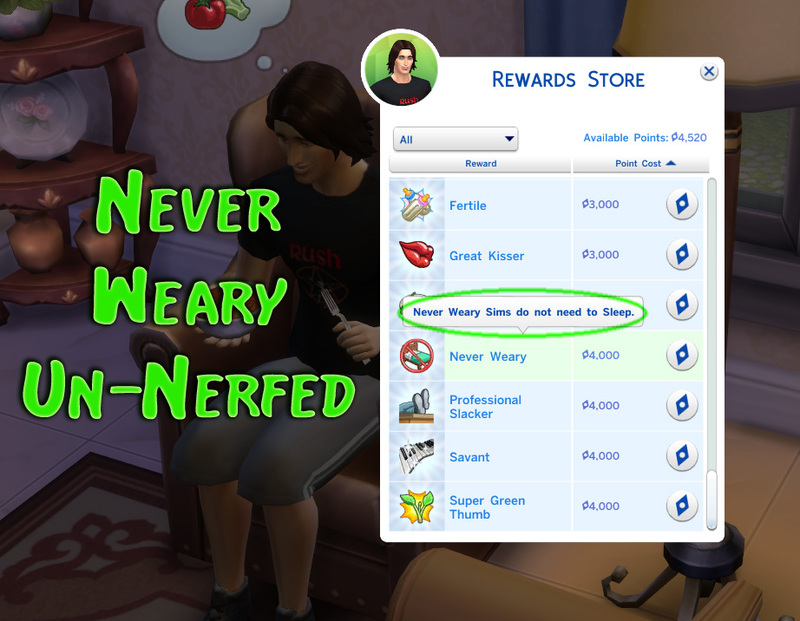 This mod restores the original Never Weary trait to it's original effect, sims with the trait will never need to sleep. The original in-game trait description is also restored (English only, but translations are welcome). This mod may cause conflicts with other mods which changes the Never Weary trait. Due to the wide variety of mods and sources for them, it is unlikely I will be able to help you with such a conflict. If there is a conflict, either one or both mods may fail to work properly. 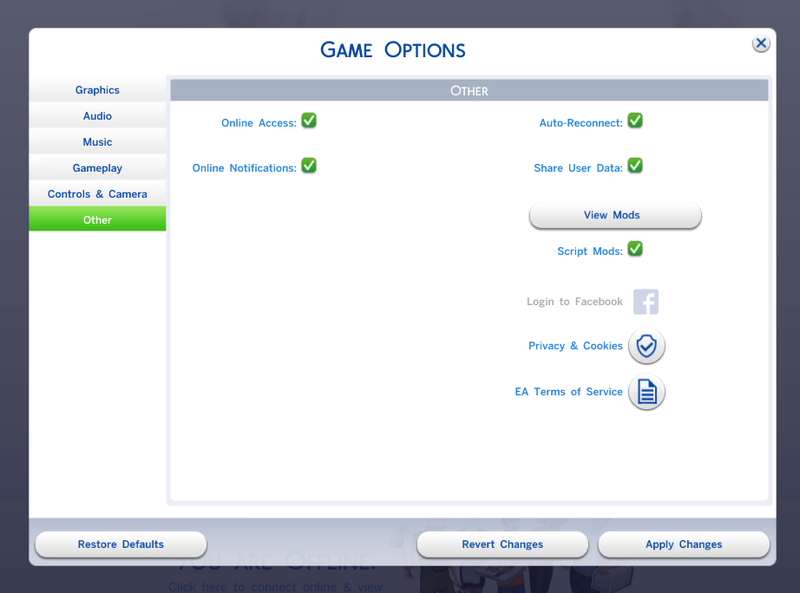 This mod requires The Sims 4 to be patched to at least version 1.36.104.1020 (November 15, 2017). Using it with an earlier version should be possible YMMV. Velocitygrass for the Sims4XmlExtractor and Sims4Data tools. c_major for the TS4 STBL Editor.